At DCLI, we help drive your business by providing the high-quality intermodal equipment, innovative pricing, industry-leading technology, and experienced logistics professionals on which you depend. DCLI’s storied history begins in 1886 with Captain Peter Maersk Møller, a sea captain who began a successful family-owned business after investing in a Danish steamship. With his son Arnold Peter Møller, they formed the Svendborg Steamship Company in 1904. Just before the breakout of World War I, A.P. Møller brought the company, now Maersk Shipping Lines, to the United States as part of its worldwide expansion. Over the next century, Maersk became the world’s largest container shipping company, a distinction it holds to this day. 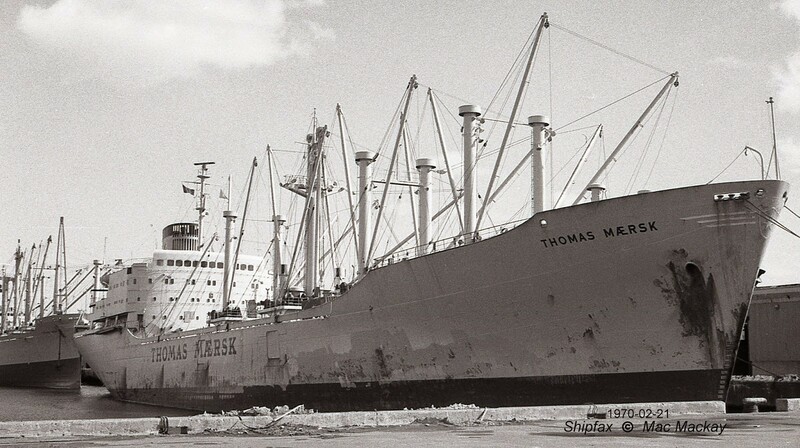 Maersk grew by leaps and bounds after World War II. At the same time, a young entrepreneur named Malcolm McLean had built a successful trucking company. With the capital he acquired from the trucking business, McLean was able to realize an idea he’d held onto for nearly twenty years—an idea that would revolutionize the shipping business. In 1956, McLean had workers modify 58 of his trucks so the chassis could hold uniform metal containers. Additionally, he purchased an old oil tanker, the Ideal X, and also modified it to hold his containers. The result: a complete disruption to the transportation industry. Now, instead of paying longshoreman to unload individual items from a cargo truck before loading them onto a transport ship, the metal containers containing the entire freight could be moved from truck to ship and back again. McLean founded Sea Land in 1960, and it became a major shipping line. Maersk formed a container service company in 1974 to repair and maintain a fleet of containers, chassis, and refrigeration generator sets. In 1999, Maersk purchased Sea Land and, nearly a decade later, began marketing its chassis leasing division as Direct ChassisLink (DCLI). Originally called Maersk Equipment Service Company, DCLI has a distinguished 40-year legacy of maintaining and repairing containers, chassis, and refrigeration unit generator sets (gensets). We saw a better way to service motor carriers and shippers, so in 2009 we began renting chassis to motor carriers and, since then, we’ve aggressively evolved and expanded our offerings. With over 450 locations on or near key port facilities and intermodal hubs throughout the U.S., we now own and manage more than 212,000 marine and domestic chassis. In 2014, we invested in a leading asset management and IT services provider called REZ-1 allowing our clients to take advantage of a comprehensive suite of fleet management applications. The company is now Blume Global and our strategic partnership uniquely positions us to deliver value to our customers across the supply chain ecosystem via Blume’s Digital Supply Chain Platform. Since being acquired by the private equity firm EQT in 2016, we’ve continued to offer high-quality equipment, competitive pricing, operational expertise, and superior customer service while envisioning new ways to improve the process of intermodal transport.